Lululemon Addict: Lululemon Newbie? Start Here. UPLOAD - Whenever lululemon adds new items to the website. It used to be Thursdays but now it has been moved to Tuesdays MondayTuesday afternoons at 4:15 3:45 pm Pacific Time. It seems to happen between 11 pm-2 am PST on Monday night. OOTD - Outfit of The Day - what lulu you are wearing for the day, including style and color. LOOT - What the We Made Too Much (WMTM) section used to be called. When new things are added to WMTM you might see me write "Loot upload" on the blog. Happens randomly. Typically uploaded Thursday mornings these days. GEC - Guest Exchange Centre. The number on the lulu website you can call for product information. (I hate to say it but often times you get bad info about products so double check with someone on the blog or on the lulu Facebook pages). Luon (Full On Luon), Luxtreme (iPlux, Full On Luxtreme), Circle Mesh, Swiftly, Running Luon (aka RULU), Swift, etc. - Lululemon technical fabrics. Check out their website for descriptions. Angel - someone who will go to one of their local stores to buy lulu for you (since your store doesn't have it or you don't live near one) and mail it to you. Lululemon Exchange, This Just In Swap, Lululemon Trading Post - Facebook pages where you can buy and sell lulu. A word to the wise, use your paypal protections. CRB - Shorthand for Cool Racerback. Don't ask for this in a store. Most eds won't know what you are talking about. TTT - Shorthand for Ta Ta Tamer, lulu's most supportive bra. DSP/DSC/DSJ - Dance Studio Pant (now called Studio Pants) / Dance Studio Crop / Dance Studio Jacket - the pants/crops are great wardrobe basics. Cool Racerback - You really can't go wrong with this top. Many people own a few dozen of this tank. It's made of running luon (though sometimes luxtreme or circle mesh). I love this because it's flattering on all shapes and sizes, you can wear your own bra underneath, and it's made of a technical fabric so you can sweat in it or wear it casually. I own about 15 of these and wear both to the gym and casually. Swiftly Tanks, Tees, and Longsleeves - another great basic. Lightweight and breathable. Great for running. Groove Pants - The pants that made lululemon. I think they are fantastic. The double waistband holds you in. The seams down the back of the thigh visually slims you. Love, love, love these. Update - I don't care for the latest cut with the tight knee and large flare at the ankle as much as the older version. If I had to steer you to a pant, I go with full on luon Astro Pants. They have a smaller flare at the bottom. Scuba II Hoodie - Great basic for cooler weather. Very thick French terry. Comes in a ton of colors and patterns. Scoop Neck Tank - looks great on bustier women. One of my favorite tank styles after the CRB and Power Y. Some people find the neck bugs them. Power Y - Another great basic tank. I like to layer a bra underneath for more support. Most of my tank collection is made up of CRBs, Swiftly Tanks, and 105F Singlets. Energy Bra, Free to Be, and Ta Ta Tamer - The Energy bra is my favorite layering bra. If I need something more delicate I use the Free to Be but it doesn't give my DD chest much support. For running, I really like the Ta Ta Tamer. For running, my favorites are Run For Your Life Crops, Pace Crops, Runday Crops, and Inspire Crops. I really like crops made of the new full on luxtreme fabric. It's expensive stuff so treat it right. I used to wash in cold but I read that front loading washers need a bit more heat to get clothe clean so now I wash in warm. Sometimes I'll air dry heavy cotton items like Scuba hoodies but I mostly hang dry everything. I got a killer giant laundry rack from Costco. I wash seriously light luon (formerly sheer luon), swiftly tops, circle mesh tops, and silvererscent tops in zipped mesh lingerie bags. I also put my Ta Ta Tamer bras and hats in their own bags, too, so the hooks and velcro doesn't catch on anything. I do separate out the darks from the lights and I will make a french terry wash if I have enough stuff. If I drop food on myself (ugh, happens too often) I'll treat the spot with a Spray N Wash stick and put it in my laundry basket until it's time for a load. Lululemon fabrics are pretty good about letting go of stains. 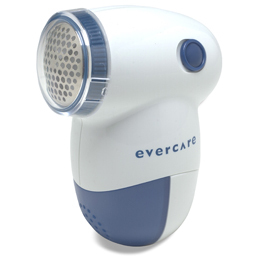 A fabric shaver can make pilled and abraded luon look like new again. I've seen them in Target but I ordered my last one from Amazon. Be sure to USE A LIGHT TOUCH and pull the fabric taut. Not super taut but not bunched up. You also might want to check with your local lululemon store, sometimes they'll fabric shave an item for you.